Something that you might not know about me: I can not put eyeliner on to save my life!! Pencil eyeliners I can handle on the bottom eyelid and waterline, but on the top lid? Say hello to my little panda-eyed friend!! And Liquid liners, I can just about manage, as long as I angle the brush just the exact right way, and...oh, no it looks like I have allowed a (very) small child to scribble in my eyelid! It's actually amazing that I get that far, because not that long ago, I couldn't put any kind of liner on at all, so most of the time I just didn't bother. 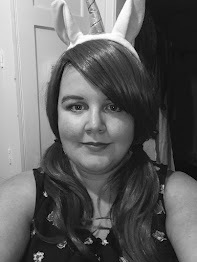 So when I visited the Eyeko website recently (for something completely different!! ), and stumbled across their Graffiti pens, I decided that it was worth a try! 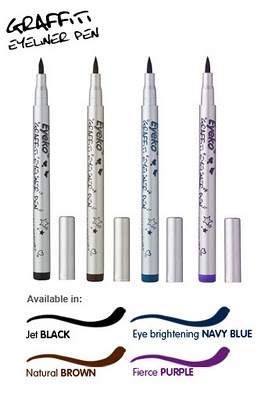 What they say: The precision brush nib is super easy to control to draw on thick or thin lines...Eyeko Graffiti Eyeliner Pen is smudge-proof, fade-proof and long lasting! Expectations: I imagined that since it looked like a pen, it would be as easy as using a pen! Simple, really! Packaging: As a lover of stationery, I love the packaging, and how it looks like a normal felt tip pen. The actual nib is quite a bit longer than a typical felt tip, but that's about the only really difference. The pen-like packaging also makes it easier to store in my pot with my make up brushes, which I quite like. How did it perform? I have to admit that I was sceptical about this being easier to apply, but to be truthful, it was, andthe best part is that it is really easy to control whether you get a fine or a thick line. That is something that I have huge issues about with other liquid eyeliners. Doing flicks and wings was much easier too, although it didn't help me master getting both eyes' wings to look the same...I don't think I'll ever get that right! I do, however, have a couple of quibbles. Throughout using the Graffiti Pen, I kept finding myself looking for the pot to dip the wand in like a typical liquid eyeliner (this of course is nothing more than habit! ), but it raised the issue of how do you know when it's running out? With potted liners, you know you're running out when you're not getting much product on the wand, but you obviously can't do this with a pen. I also wonder if they'll dry up the same way that felt tip pens do. My main quibble, was actually the idea that the the liner is "fade-proof and long-lasting", because it did fade, but then again, the colour wasn't that bold in the first place! I like black liners to be really, really black and for some reason this one just wasn't. Overall: I liked the precision, but hated the faded colour.